NOTE: BEFORE INSTALLING MAKE SURE TO RUN YOUR SQUEEGEE ACROSS THE TRANSFER TAPE TO REMOVE ANY BUBBLES. Begin by ensuring the surface has been cleaned and prepared properly. 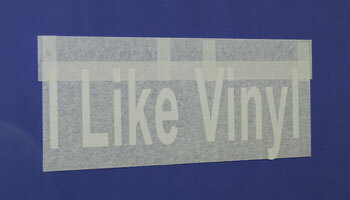 Using a measuring tape, measure the total distance of the surface the vinyl is to be applied to. Divide the distance by 2 to determine the center point. Mark this location on the surface using your grease pencil. Next, determine the height placement and mark that placement. 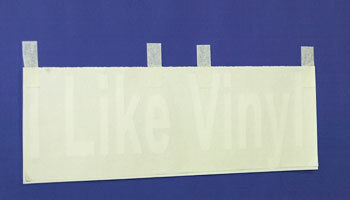 Using the masking tape secure the vinyl letters to the surface as depicted in the image shown on the left. Use a level to ensure placement will be straight and make any adjustments necessary. 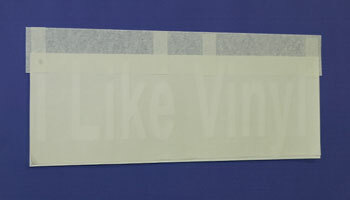 Now apply a single piece of masking tape along the entire top length of the vinyl as depicted in the image shown on the left. 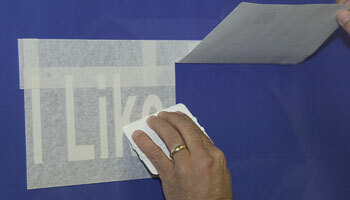 Lift the bottom edge away from the surface and cut the lettering in sections as wide as your squeegee. Now using the scissors cut up to the top as shown in the image on the left. 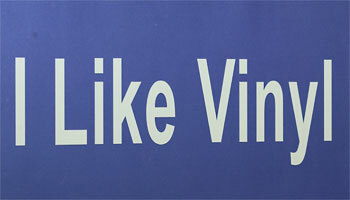 Your vinyl lettering application should now resemble the image on the left. 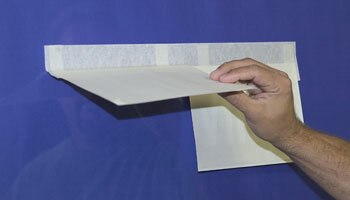 Beginning on either side, separate the transfer tape (see through top layer of vinyl application) and firmly grab and hold the application backing (thick solid white sheet). Lift and separate the backing and discard to the ground as depicted in the image shown on the left, being careful to not allow the transfer tape to touch the surface, all the while keeping a taut grasp. 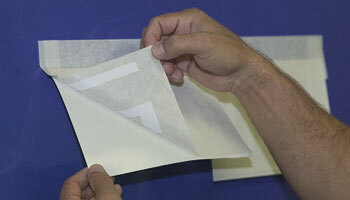 Holding the transfer tape slightly away from the surface, begin using the squeegee with slight pressure in a downward motion moving from the top to the bottom in one fluid motion to help apply the transfer tape and vinyl and to smooth out any imperfections. Repeat Step 5 on the other side or next stage of your application until it looks like the image shown on the left. Starting at the top left or right of you installation, carefully separate the transfer tape from the surface and vinyl, pulling down at a 45-degree angle, all the while making sure your vinyl letters do not lift and separate from the surface. If they begin to lift, simply re-squeegee the surface. Carefully inspect your installation for bubbles and imperfections. If you have a bubble, use your squeegee sweeping in an outward motion to remove them. If they cannot be easily removed with the squeegee, use a needle or thumb tack and poke a tiny hole in the bubble. This will allow you to squeegee out any air and flatten the bubble. The image shown on the left is a completed installation.